What is General Data Protection Regulation - GDPR meaning? Read the Dragon1 Term Definition here. The GDPR definition - General Data Protection Regulation (Regulation (EU) 2016/679) is the regulation by which the Parliament of Europe, the Council of Europe and the Commission of Europe want to unify and strengthen protection of data for all individuals. GDPR also is about the export of personal data to other areas outside of the European Union. Primary objectives of GDPR are to give the EU inhabitants control over their personal data and simplify regulations for international business by the unification of regulation within the EU. In The Netherlands the term AVG (Algemene Verordening Gegevensbescherming) is used at the government for GDPR. 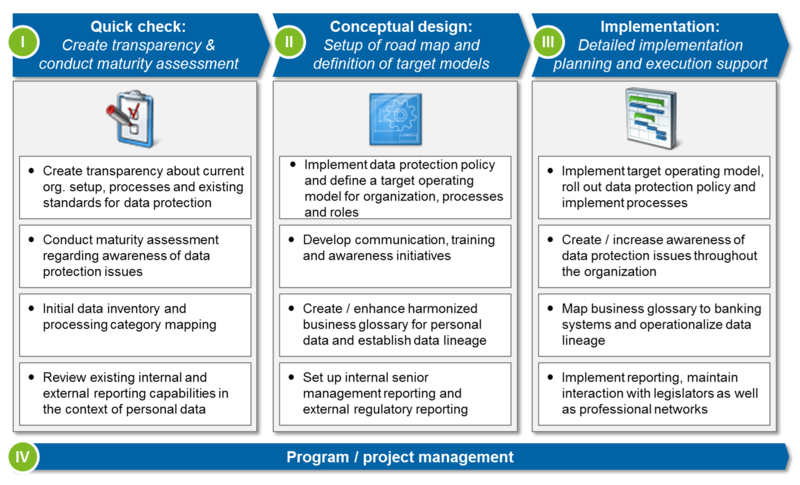 Next to the General Data Protection Regulation (GDPR) the term Data Protection Officer (DPO) Diagram is used. The definition of Data Protection Officer is: The person who oversees all data processing activities in the organization and who audits and monitors if all processing is done compliantly with GDPR. A DPO has expert knowledge of data protection law and practices in order to be able to monitor internal compliance with this Regulation. The DPO is proficient at managing IT processes, data security (including dealing with cyber-attacks) and other critical business continuity issues around the holding and processing of personal and sensitive data. Dragon1 support working with GDRP. Read here more about Dragon1 as solution for GDPR and see an interactive example of GDPR Compliance.